At Red Letter Christians, we seek to amplify the voices of leaders and movements committed to Jesus and justice. We are honored to partner with a variety of organizations and individuals who live out Jesus’ counter-cultural teachings. May these partner highlights reflect the breadth and depth of what it means to follow in the Way of Jesus and inspire you to put your faith into action for the common good. This week marks the 5th annual national week of action for Campaign Nonviolence (September 15-22), with hundreds of actions happening across the country to cultivate a culture of peace and nonviolence. The week of action culminates on September 22 in Washington, D.C., with the first ever march from the Dr. King Statue to the White House. Speakers for the march include RLC leaders John Dear, a longtime activist and co-founder of Campaign Nonviolence; Shane Claiborne, co-founder of RLC; and Lisa Sharon Harper, founder of Freedom Road and a RLC board member. Along with other change makers, they will speak out against war, poverty, racism, and environmental destruction, and for the coming of a new culture of peace. Join Campaign Nonviolence for nationwide actions this week and for the September 22 march in D.C. For a full list of events and more information, visit campaignnonviolence.org. We’re launching our next online book study in October! Join in as we gather in digital community to explore Kathy Khang’s latest book, Raise Your Voice: Why We Stay Silent and How to Speak Up. Order or borrow the book! Then join the Facebook group “Raise Your Voice Book Study – RLC,” facilitated by RLC leader Britney Winn Lee. Starting on October 1, we’ll read and discuss two chapters a week via the online group. Reflections derived from the week’s discussions will be featured on RLC’s blog every Friday in October. To wrap up the study, we’ll host a special Facebook Live Q&A with Kathy Khang on October 29 at 8pm CST. Don’t miss this online book club! Check out all the details in the #RaiseYourVoice Facebook Group. With the advent of the #MeToo movement, stories of sexual abuse and cover-up continue to flood the news. 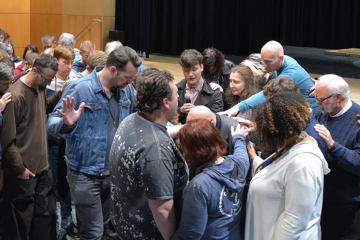 Take part in The Courage Conference (October 19-20) to help create the conditions where this movement for change can resist abuse everywhere, including our own congregations and communities. 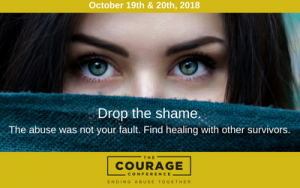 Founded by Ashley Easter — a Christian feminist, writer, speaker, and survivor advocate — “The Courage Conference seeks to take seriously the words of Jesus by taking seriously the pain and abuse of children and vulnerable adults and working to prevent future violations.” Learn more and register at thecourageconference.com. We’re hosting our next Red Letter Revival in Dallas! Following the successful April 2018 Lynchburg Revival, where we confronted Jerry Falwell Jr., the #DallasRevival (November 16-17) seeks to counter the toxic Christianity of Robert Jeffress through powerful and prophetic gospel preaching. RLC will gather Red Letter leaders from across the country to join Dallas churches in proclaiming the Jesus of the poor and marginalized — the gospel that welcomes the immigrant and seeks protection for those made vulnerable amidst today’s rising Christian nationalism. Featured speakers, thus far, include Rev. Dr. William Barber, Rev. Dr. Jacqui Lewis, Rev. Dr. Freddy Haynes, Rev. Alexia Salvatierra, Rev. Dr. Tony Campolo, Alicia Crosby, and Shane Claiborne. 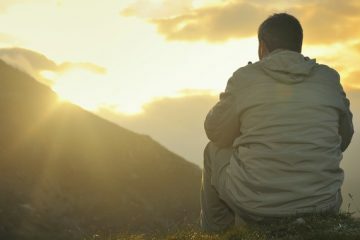 For all the details and to register, visit RLREVIVAL.ORG. All are welcome to attend the #DallasRevival at no cost, but we need your help to make it happen. Consider making a donation to support the #DallasRevival. Thanks in advance for partnering with us to make Christianity look like Jesus again.